Hiscock And Shepherd Antiques - MARY WONDRAUSH (OBE) COLLECTION. MARY WONDRAUSH (OBE) COLLECTION. Mary (1923-2016) was an English artist, potter, historian and writer. 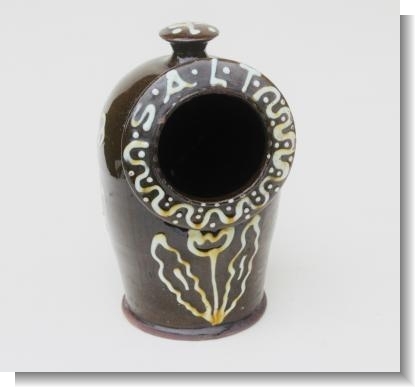 She was an honorary fellow of the Craft Potters Association and has work in a number of institutions including the V&A. 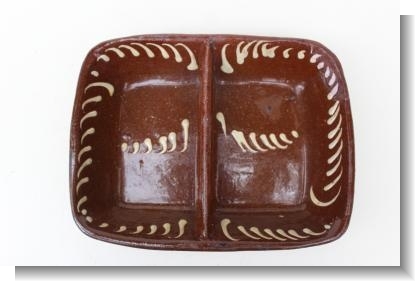 She became interested in ceramics and produced pottery inspired by 17th Century English Slipware. 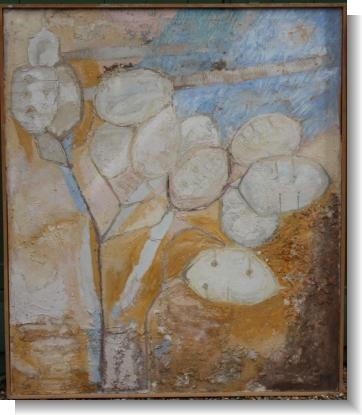 She worked from her Brickfields pottery in Compton, near Guilford surrey and recently had a sell out Exhibition of her work at the Watts Gallery. On a very personal note when I first met her some 30 years ago I thought she was an eccentric who was producing poor copies of early pots, but later I came to realise there was a difference and that she was inspired by the early pots and her pottery was undertaken with a great deal of care and attention and 20th century Fun. She continued the tradition . At the recent studio sale we were pleased to buy a number of her pots(that we felt were important) and other work that appealed to us. 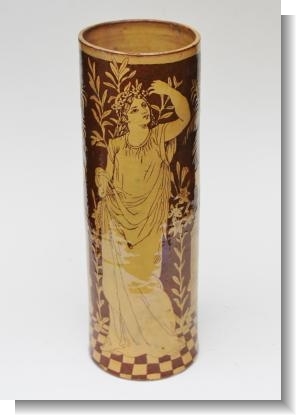 Pre-Raphaelite slipware Unbrella stand from the Aldershot School of Art. 19th Century SALT KIT, Mary Wondrausch Coll. 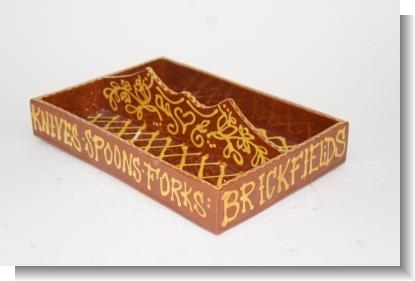 MARY WONDRAUSCH CUTLERY TRAY BRICKFIELDS COMPTON.